After teaching at the University of Westminster I worked at The Guardian (UK) for twenty years as assistant foreign editor and chief foreign leader-writer (1983-2003). With my wife and constant partner for over 50 years, Aelfthryth Gittings (who died in December 2012), we brought up four sons and travelled widely in South America, Asia and Europe. In 2001-03 we set up The Guardian's first staff office on the Chinese mainland, in Shanghai. Afterwards we moved to Shipton under Wychwood in Oxfordshire, becoming active in local historical research, CND, and the Labour Party. 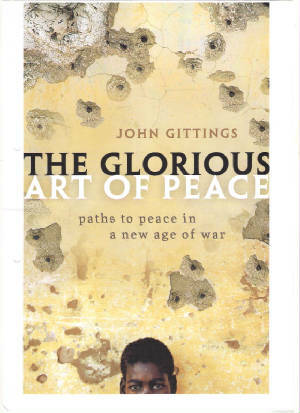 Having specialised for many years on China and East Asia, I have been working on the history of peace thought for the past ten years, publishing a new book, The Glorious Art of Peace (OUP, 2012), and many articles. The paperback edition of my book was published in October 2018 (see below) with a new preface. I am a Research Associate at the China Institute, School of Oriental & African Studies, London University, and an Associate Editor of the Oxford International Encyclopaedia of Peace. In November 2015 I served as a judge on the International People's Tribunal on 1965 Crimes against Humanity in Indonesia, and co-edited the Final Report. This is a paperback edition of the book first published in 2012, with a new preface addressing our current dangerous age. “This is a wonderful study of the subtler “arts of peace"…. wide ranging, informed, and informative”. (Oliver Richmond, Peace and Conflict: Journal of Peace Psychology). "Eminently readable, this book would make a great gift for the activist and sympathetic non-activist alike, providing inspiration from the glorious heritage of peace activism down the ages." (Peace News, Dec. 2012).